Guests can celebrate the holiday season with a fun show at Warner Bros. Plaza featuring all their favorite Looney Tunes and Hanna-Barbera characters, all dressed in their festive best. Guests can meet characters like Bugs Bunny, Tom and Jerry, Tweety, and Scooby-Doo, as well as DC Super Heroes like Batman, Superman, and Wonder Woman for that perfect Instagram-worthy photo. The festive show will run several times each day from Dec. 21 – Jan. 8. Show times can be found at the park’s gates. Find one-of-a-kind souvenirs and exclusive merchandise at Warner Bros. World Abu Dhabi’s 22 themed shops this holiday. Guests with an annual pass will receive a 25 percent discount on all their purchases. No annual pass? No worries – ADCB cardholders can enjoy a 15 percent discount on items purchased inside the park. Something is going on at the ACME factory! Guests are invited to see ACME Beats, a new live entertainment show featuring action, physical comedy, lots of drumming and audience participation. This show runs daily at the ACME Factory in Cartoon Junction. 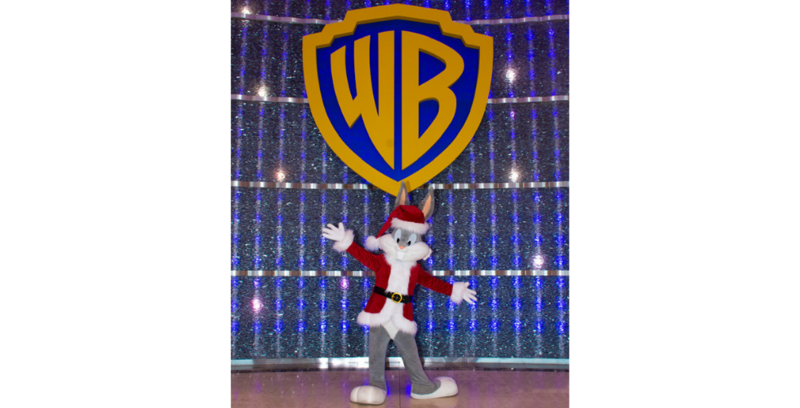 Don’t miss out on all the holiday fun and excitement this winter at Warner Bros. World Abu Dhabi! To learn more, and to plan your visit, head to WBWorldAbuDhabi.com/en.